The social deduction game One Night Ultimate Werewolf is on my (Firestone) short list of Game of the Year candidates. So I was thrilled and excited to hear that Bezier Games has launched a Kickstarter for a new One Night game, with all-new roles and fun. The game includes 11 new roles--all of whom have a night time role. These include the Sentinel, who can protect one other card, the Apprentice Seer, who can look at one card in the middle, and the Mystic Wolf, who is a normal werewolf but can also look at another player's role card. In addition, there are artifacts in this game, which the Curator role hands out to add even more fun and unique twists to the game. As before, the game utilizes the free phone app, which lets you specify the roles you're using, and will narrate the game in the correct order. It's SO useful, and a really nice touch. The game funded in hours, and they're already chipping away at stretch goals, some of which include more roles and more artifacts. 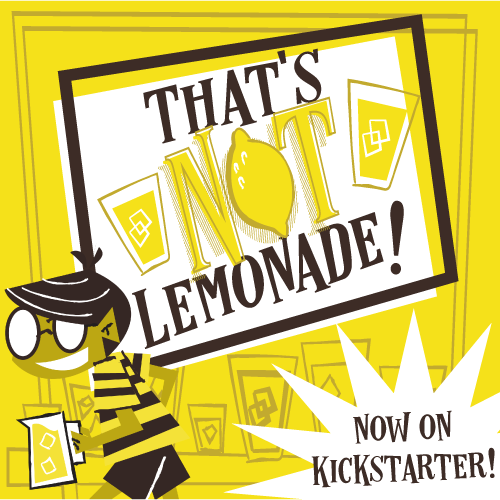 So check out the Kickstarter campaign. And thanks for reading!